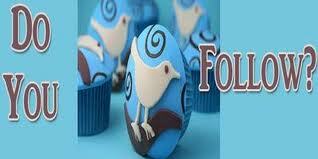 Make Twitter Work for Your Small Business! 3) Don’t have grand expectations of what Twitter can do for you alone. Twitter is an important part of a social media network, if it is designed to funnel interest to your website and blog!2) Always have a link to your website blog or a link to an upcoming event in every tweet. I know that makes your words of wisdom even shorter, but someone seeing your tweet in a twitter stream may want to click and go somewhere for more information. 4) When someone thinks enough of you to follow you on twitter, always follow them back. If they are the kind of twitter site that you don’t want to follow, and then remove them from your twitter stream right then, more on this later. The free Twitter applications listed below will help you with this task. 5) If you follow a Twitter site and they do not follow you back within a week or so, unfollow them. 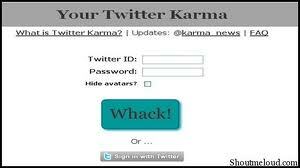 Again, the free Twitter applications listed below will help you with this. Twitter only lets you follow a certain amount more than those following you, so does not use up your Tweet space for an account that won’t follow you back. There are exceptions, if you are a CPA and it is tax time, you may want to follow one of the IRS Twitter streams to provide daily updates from the IRS in your Tweet Stream. This is a good reason to have a non-follower, as government agencies and celebrities rarely follow back. You may have noticed that unfollowing one of your followers is as easy as clicking the unfollow button. But the problem is, who is not following you, who are tweeting too much, and who is following you that you forgot to follow back? The 9 free Twitter Applications listed below will help you do those things. Each one of these free Twitter applications has its strengths and weaknesses. You may find that the ones I like aren’t as easy for you, and you like the ones I do not. This is the wonder of Social Media, choices make it so personal, the more you learn the more you will love what a well run social media network can do for your business! 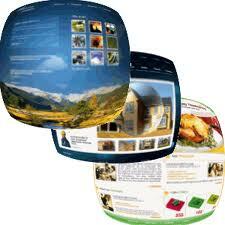 All these programs have a FREE Twitter application version, as well as several levels of pay to play. 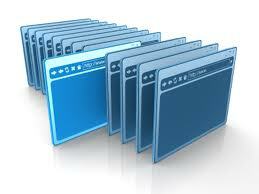 Usually the pay versions do far more, and have more automated functions. For now try several of them in the free Twitter application version, if you want, you can convert later, but all these FREE Twitter application versions will do what you need to do now! 1) UNFOLLOW: This free Twitter Application is a simple tool to just unfollow Twitter users, who are not following you. 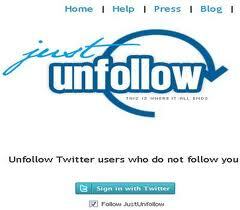 JustUnfollow provides you the list of twitter users you are following and that are not following you back. You can select the ones you want to unfollow from the list and simply unfollow them. 2) DoYouFollow: A free Twitter application that is good basic system, these tools helps you to know who you are following and are not following you back. One of the good things here is that you can unfollow the twitter users who are not following you in bulk. 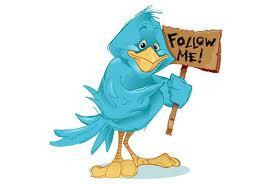 Apart from unfollowing Twitter users you can also create and schedule tweets with DoYouFollow Tool. 3) TwitSpinner: is much more than just free Twitter application or a tool to unfollow the twitter users who are not following you. It is an advance tool to manage your twitter direct messages, followers, designs and additionally allows you to schedule tweets. 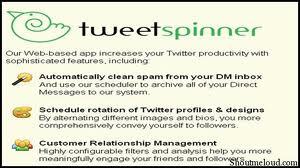 If you are looking for a complete twitter management system, then you can consider TwitSpinner. 4) Your Twitter Karma: Apart from removing the Twitter users who are not following you back, this free Twitter application Your Twitter Karma also follows the Twitter users who are following you. 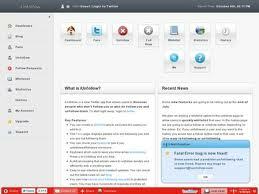 It can easily follow or unfollow the twitter user in your profile in seconds. 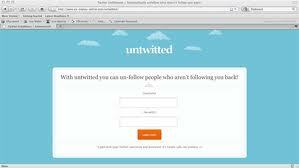 5) Untwitted: This free Twitter application is very simple and user-friendly unfollow twitter tool. It helps you to unfollow the people who are not following you on twitter in bulk. It is safe to use and saves your time to unfollow unwanted Twitter users. It does only one job, but does it perfectly. 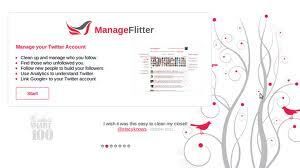 6) ManageFlitter: is a free Twitter application that is a critically acclaimed set of Twitter Tools people have used to manage their Twitter account. It comes in both free and pro version. The free version will enable us to find out who has unfollowed us on Twitter, unfollow users who no longer post, unfollow people who tweet too much, prune and clean up stream to get more out of Twitter. 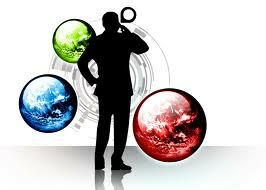 The pro version offers even more amazing set of tools such as Follow and Twitter Search & Analytics. 7) FriendorFollow: Another free Twitter application tool which helps you find out who followed you on twitter and who you are not following back after they followed you. It also finds the twitter folks you followed that are not following you back. 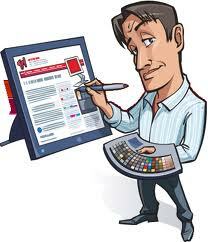 Find detailed information about your twitter account by using FriendorFollow tool. 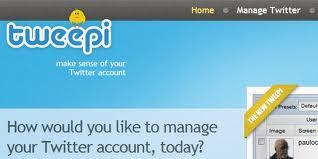 8) Tweepi: Possibly the easiest free Twitter application to unfollow your twitter non-followers. 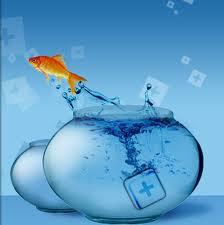 Easy to flush and even clean up inactive accounts. You can even force twitter followers who you do not follow to unfollow you by using it’s new feature. This is helpful when you do not want your competition seeing your tweet stream! 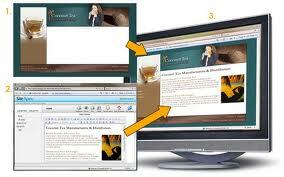 Visit the Tweepi website for more information. 9) iUnfollow: A free Twitter application which provides more than what you expect. Some of the great features of this tool are that you can check the history of who you followed and who followed you, the quickest possible way, with keyboard shortcuts. Additionally, you can unfollow your non-followers through keyboard shortcuts as well. Try some out and experiment. Remember, if you have a limited # of Twitter followers that you can unfollow in the free Twitter application version of one of these programs, I have given you 8 more to try! 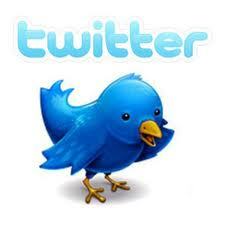 Have fun and let me know which free Twitter application works best for you, I would enjoy hearing feedback. 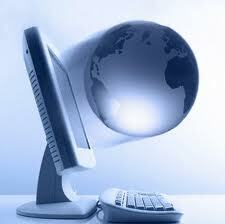 Join us for this FREE webinar Wednesday, August 15, 2012 at 2 PM EST. We want you there live! There will be a live question and answer session at the end of the webinar session! However, simply register and if you can’t attend at that time you will be sent a recorded version of the live webinar after the event is over.